European Forum for Freedom in Education - What is up in education? The European Forum for Freedom in Education (effe) is a non-governmental organization working in the field of general education. effe is based in Germany and connects people all over Europe who want to shape the future of education. We believe that a tolerant and democratic society needs a free and diverse educational system. Our vision is of a Europe of peaceful neighbors and cultural diversity within and between countries. effe facilitates international exchange so that we can learn with and from each other across national boundaries. You want us to publish your event, training opportunity or call for application? Please contact us. Bürgerschaftliches Engagement in Stiftungen, Vereinen, Unternehmen und von Bürger*innen ist für unser Gemein­­­wesen existentiell. Doch dieses wertvolle gemeinnützige Handeln braucht dringen­der denn je den schützenden Rahmen eines solidarischen, zukunftsfesten und demokratischen Europas! In ganz Europa setzen sich tagtäglich unzählige engagierte Bürger*innen und Mitarbeiter*innen in Vereinen, Genossenschaften, Pflegeeinrichtungen, Schulen, Hochschulen und vielen anderen Orten der Begegnung für die Gesellschaft ein. Diese Arbeit wird selbst in Europa zunehmend erschwert, unterdrückt oder gar verfolgt. Notwendige Freiheitsräume für Engagement und Meinungsäußerung geraten angesichts erstarkender autoritärer Politiken, im Osten wie im Westen Europas, unter Druck. Als Knotenpunkt sozialen Engagements und Gemeinschaft zahlreicher gemeinnütziger Mitglieder und Stifter*innen, sehen wir uns als GLS Treuhand e.V. in der Pflicht, die Rahmenbedingungen gesellschaftlichen Handelns mit zu schützen und anzumahnen. Mehr lesen und sich dem Aufruf anschließen! The EUDEC2018 takes place in Greece from August 1-7. The conference will take place at the very hospitable village Astritsi in Crete. The speeches, workshops, games and warm conversations of the community will be surrounded by a traditional Greek scenery of unique natural beauty. To bring together all initiatives on alternative education in Greece. To open the discussion on children’s rights in education. To link education to social organization and facilitate a manifesto of social emancipation. To contribute towards redefining democracy and imbuing democratic values. To foster international and interclass networking. To create open educational structures available to minorities, through cooperative initiatives. To collect resources for the creation of a long term program introducing democratic methods in public schools. Mikros Dounias means "small world" and is an initiative which is located on the island of Lesvos in Greece. The aim of Mikros Dounias is to support the co-existence of refugee and local children and their parents, so that they can create, learn and explore the world together. We play and we learn together in nature. Playing involves the body and soul of the participant holistically, bringing balance and harmony and promoting action instead of passivity. It cultivates spontaneity, creativity and imagination. We believe in the freedom of choice and the right to participate. We want to create a feeling of safety, of being seen, listened to and respected. We uphold the principles of equality and integration. Contact with nature is of great importance for wellness and personal development. We want children to have the opportunity to move, play, observe and explore in natural environments throughout the year. How do we work together? Parents, children, educators, volunteers, partners and members of Lesvos Solidarity are actively contributing to the organization of Mikros Dunias. Decisions are taken democratically and should enjoy wide acceptance. Children's opinions, needs and desires are of central importance. Mikros Dounias is a project in cooperation with Lesvos Solidarity. Learn more about Mikros Dounias and support the project by donating once or on a monthly basis. Lets make this small world a better place for everyone! The conference takes place at The Independent Academy for Free School Teaching. The conference fee is 160 Euro (free for international participants). There are two options to visit a school in the area on Friday 12th of October, 2018. The conference is organized by The Efterskole Association, The Danish Friskole Association, The Association of Folk High Schools in Denmark, The Independent Academy for Free School Teaching. In partnership with effe. "Lifelong Learning Culture: a partnership for rethinking education"
Find out more about the conference and the programme and how to register. The Bosch Alumni Network has invited a diverse group of practitioners and thinkers from civil society, public administration, media and think tanks to to jointly start answering the question: What is taking place in CEE these days when it comes to the state of democracy and what follows from that for us, who care about its future? The workshop takes place from November 23-25, 2017 in Berlin. effe has been invited to join the workshop and to contribute to the discussion from the perspective of education. CitizensLab is on its way from the pilot stage to becoming a community of practice. The members of CitizensLab have discussed their vision for Europe in 2030 and have formed working groups who are working together to develop prototypes. Right now there are four project teams with members from different European countries who are preparing cross-sectoral prototypes. The issues which are addressed are education, democracy, social inclusion, urban transformation and art and culture. effe is a member of CitizensLab and is involved in the development of a prototype in the area of education. effe proposes to establish Inclusion competency and Sustainability competency and to add them to the EU key competences. We regard both competences to be prerequisite for an inclusive and sustainable society. Competendo offers experience, methods and inspiration for empowerment in community, school, organization, non-formal group or institution. How to inspire personal, professional and societal development? The Competendo team have developed a collection of well-tried innovative approaches and methods by trainers for trainers, teachers and facilitators. Competendo is a cooperation between five civil society organizations. MitOst in Germany, Südwind in Austria, Ideas Factory in Bulgaria and Working Between Cultures in Poland who are developing and implementing educational programs, developing handbooks and offer qualification for activists and professionals in formal- and non-formal education and in civil society. Together they are advocating for the ideas of empowerment and active citizenship. The 15th International MitOst Festival takes place in Frankfurt (Oder)/ Słubice from October 4-8 2017. MitOst connects active citizens in Europe and its neighbouring regions. MitOst implements programmes and projects which foster cultural exchange, active citizenship, social cohesion and participatory urban and rural designs beyond cultural, sectoral or political borders. The international MitOst Festival is a meeting point for all those who are interested in cultural and civic exchange in Europe and its neighbouring regions. It brings together thinkers and activists, experts and newcomers. For further information go to the website of MitOst Festival. effe is a member of CitizensLab which has been initiated by MitOst. 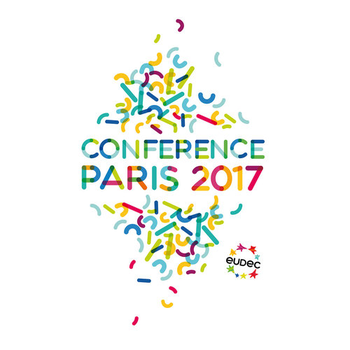 The EUDEC conference will be held from August 19-27, 2017 in Paris. EUDEC invites you to live democratic education through open workshops, informal sharing and conferences. The theme of the Paris conference is "Diversity in Democratic Education". The Welsh conference on Learning & Teaching for a new era takes place at June 28, 2017 in Llanelli. Speakers are Dr. Bill Maxwell (Education Scotland), Fiona Carnie (European Forum for Freedom in Education), Beatriz Pont (OECD), Gareth Morgans (Carmarthenshire Council), David Taylor (Stanley Park High School) and Mette Hauch (Autens Future Schools Denmark). If you have further questions or would like to participate please contact Adele Davies. The conference is organized by effe (European Forum for Freedom in Education), Sir Gâr Carmarthenshire (Cyngor County Council) and Prifysgol Cymru (University of Wales). The annual conference of the Lifelong Learning Platform takes place from May 31 to June 01, 2017 at Tallinn University in Estonia. Register now for the conference! Digitalization is ever growing and will inevitably affect all sectors. Yet we still struggle to understand the extent of it and few are fully prepared for it: there is a change in the nature of the race between man and the machine, and the machine is running faster. The challenge of education in a digital world commands us to open education as widely as possible to include all, through flexible pathways and innovative thinking in order to enable all to adapt to yet unknown developments. How can lifelong learning answer these challenges in order to insure universal access to digital education? Der diesjährige Fachtag des Bundesverbandes der Freien Alternativschulen (BFAS) "Alternativschulen morgen: Pädagogik jenseits von Reform" findet am 17. Mai 2017 in Kassel statt. Ist der freie Zugang ins Internet die Voraussetzung für eine Schule von morgen? Oder zerstört dieser vielmehr schulische Lernprozesse und soziale Beziehungen? Hat Schule als gesellschaftlicher Ort von Bildung überhaupt eine Zukunft? Und wenn ja: Welche? Wenn nein: was kann an ihre Stelle treten? Auf dem Fachtag 2017 sollen gemeinsame und konkrete Perspektiven für zukunftsfähige Schulen entwickelt werden. Er ist Anstoß für einen zukunftsoffenen Produktion Lernprozess für Schulen jenseits von Reform. Which educational futures could guide our thinking and actions if we see schools as laboratories of tomorrow´s society? What do digitalization and demographic transition mean for learning in a migration society? And in what ways can art advance change? At the kick-off conference "Schools of tomorrow" at the Haus der Kulturen der Welt (HKW) in Berlin from 2017, May 4-6, educational theorists and practitioners will discuss how schools can shape the future with teachers, parents, students and artists. “Schools of Tomorrow” takes place as part of the HKW series 100 Years of Now. Unter dem Motto "Adler steigen keine Treppen - Freinet verleiht Flügel" findet vom 28. April bis 1. Mai 2017 das Bundestreffen der Freinet-Kooperative auf der Burg Rieneck statt. Anmeldeschluß ist der 17. Februar 2017. Die Freinet-Kooperative ist das bundesweite Netzwerk von Freinet-Pädagoginnen und solchen, die es werden wollen. The International Democratic Education Conference will take place in Hadera in Israel from March 28 to April 3. The IDEC 2017 brings together experts, educators and democratic education lovers in an exciting learning environment. Read more about the International Education Conference or register for the conference. at the Independent Academy for Free School Teaching in Ollerup (Denmark). The course will explore core concepts of Danish educational theory and practice that are foreign to many outsiders such as togetherness, the cultivation of character (Bildung) and of democratic values, enlightenment for life and the living word. The course will also aim to assess how these core concepts might be applied in other contexts. It will also include visits to local free schools. The course will be held in English. Course fee is DKK 7995 or € 1075 (board and lodging included). Applications should be received electronically using the Ollerup course homepage no later than February 2nd, 2017.
effe has been invited to take part in CitizensLab a new European network which is implemented by MitOst in cooperation with Stiftung Mercator, Robert Bosch Stiftung and the European Cultural Foundation. 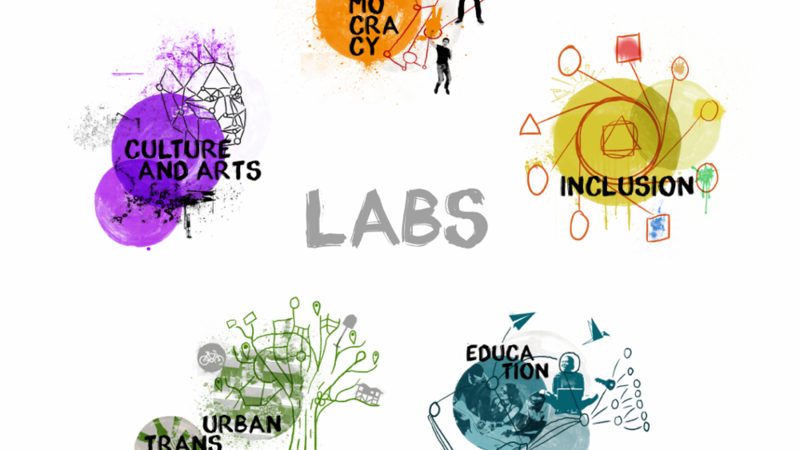 CitizensLab is a new participatory European network for local actors of change. The aim is to strengthen and connect active citizens from all sectors that are passionals about their local community. They engage in finding innovative solutions to challenges in their neighbourhood - be it as volunteers or in their jobs. Core areas of activity of CitizensLab are Democracy/ Active Citizenship, Social Cohesion/ Inclusion and closing diversity gaps, Urban Transformation, Culture and Art and Education. We have had a very successful board meeting and members’ assembly in Offenburg. The festivities around the 20th Anniversary of Freie Schule Spatz were great and inspiring. Thanks for hosting us! Part of the meeting was a resolution stating the fundamental right to education for refugees and displaced people. The declaration refers to the "Offenburger Erklärung" of 1847. The right to education for all people includes the right to education for refugees and displaced people, the root causes for flight and migration and the conditions and the impact should be part of an open debate in society and should be implemented in school curricula. A perfect storm is an expression that describes an unusual coming together of happenings which when combined will have some disastrous effects. In England the school system is reaching a point when the developments of the last fifteen years are combining to seriously damage the education of children and young people. This brief paper carries a warning for other European countries who may under pressure from the education for economic growth lobby be tempted to adopt similar policies. Visit EUCIS-LLL website to see the latest news from Bruxelles regarding education and learning.